This Tip Alone Will Catapult Your Youtube Video Ahead of the Competition and It's FREE! views you had hoped would gain you the exposure you are after. the same topic have been posted. see the keywords your competition used. same time and a new box will pop up. used when the video was submitted. also a key part of positioning your video higher for more views. video, as well as the title. 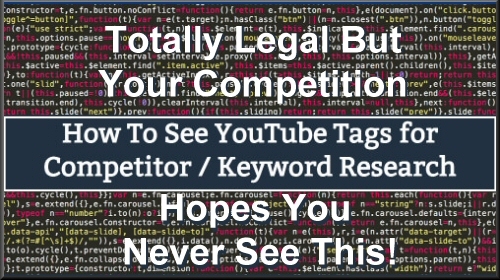 How to See Youtube Competitor Meta Tags Keywords?